PRAGUE  Joaquin from Kimia left the closing race of the YNOT Grand Prix‘s seventh annual circuit $1,000 richer. After participating in three of four races, he ended the season with the best overall stats. Joaquin will claim his prize during the YNOT Awards ceremony Wednesday night. More than 80 drivers and nearly 50 fans crowded the track at Kart Centrum for the Prague leg, hosted at one of the more spectacular settings on the tour. At nearly one kilometer in length, the track twists through more than 30 turns. The facility is located inside a reclaimed glasshouse, making lighting exceptional, and a sophisticated electronic timing system keeps everyone honest. According to Kopita, the Kart Centrum track represents a big challenge for drivers; nevertheless, the 2016 season closer attracted lots of first-time racers. He admitted being a bit disappointed that no major crashes occurred, even with the drivers in an extra-bloodthirsty mood because of the cash prize. However, some models raced, and they were hazardous for going so slow, he said. Europeans dusted the track. Hometown favorite Dominik from Czech Cash took the gold for the second consecutive year with a best lap time of 84.985 seconds. Second place went to Lazeevas Til Petersen with a lap time only fractions of a second slower: 85.2. Chris from IMaxCash took third, ahead of 11 others who rounded out the 14-contestant death match that closed the race. All 14 took the term death much too literally. 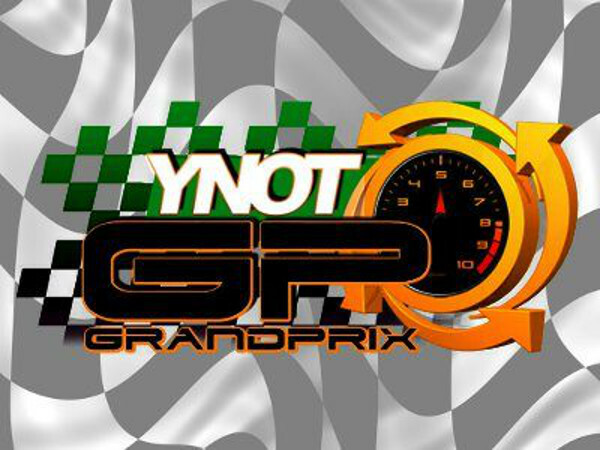 The YNOT Grand Prixs eighth season will take to the track during the European Summit‘s Barcelona show in February. For more information about the 2017 circuit, email Kopita or Skype him at LAJConsulting, or visit YNOTgp.com. The entire 2016 YNOT Grand Prix season was made possible by generous sponsors JuicyAds, Payze, Mistral, Traffic Mansion, FNCash and Studio20..